A crackling fire in a beautiful fireplace is a warm and nostalgic centerpiece for any room, but they can be dangerous if not used properly. How else can you avoid fire damage in your Glenelg home? The chill of winter is upon us, but for some that doesn’t necessarily mean that the furnace or central heating is on. Or maybe it is, but you’re still keeping it set low, trying not to burn through too much fuel. Whatever the reason, many homeowners choose to use additional heating devices to supplement their house-wide heating service, including space heaters, wood fires, and even candles. But the use of these comes with increased risk of fire; in fact, heating equipment was the second leading cause of fire damage after cooking from 2009 to 2013. But this doesn’t mean you can’t use these heating sources this winter, you just have to do it safely. A crackling fire in a beautiful fireplace is a warm and nostalgic centerpiece for any room, but they can be dangerous if not used properly. Each year you should have a professional come out to clean and inspect the fireplace, and each time you use it you need to check for blockage and soot buildup. Burning seasoned hardwood is a good way to limit the amount of buildup you get during use, and you should make sure you don’t build the fire too high. After all, it could scorch your chimney. Make sure the fire is completely out before you leave, and clean out the fireplace after each use so that nothing lingers. Finally, install a fireplace shield to act as a spark guard that keeps embers from flying out, and make sure that flammable items are well away from the fire. Space heaters are a quick and easy way to warm up a small space, like a room, but they are one of the leading causes of home heating related fire deaths. If you have a space heater, you need to be careful when you use it. Always keep it well away from flammable items. There should be at least a 3 foot perimeter around the heating device. Choose a space heater that has an automatic shut-off so that it doesn’t overheat or run continuously. Never leave a space heater running when you’re not in the room with it or when you fall asleep. Finally, never plug in a space heater with an extension cord or power strip. Space heaters always need to be plugged directly into wall outlets. This time of year, candles tend to be less about heat and more about decoration, except during power outages, but you still need to be safe. Candles should always be placed on something non-flammable, in a safe location, away from pets, kids, or anything else that could knock them over. Never put real candles on a Christmas tree, and never leave them burning when you’re not in the room. Finally, keep flammable items at least 3 feet away from all fires to minimize fire damage. 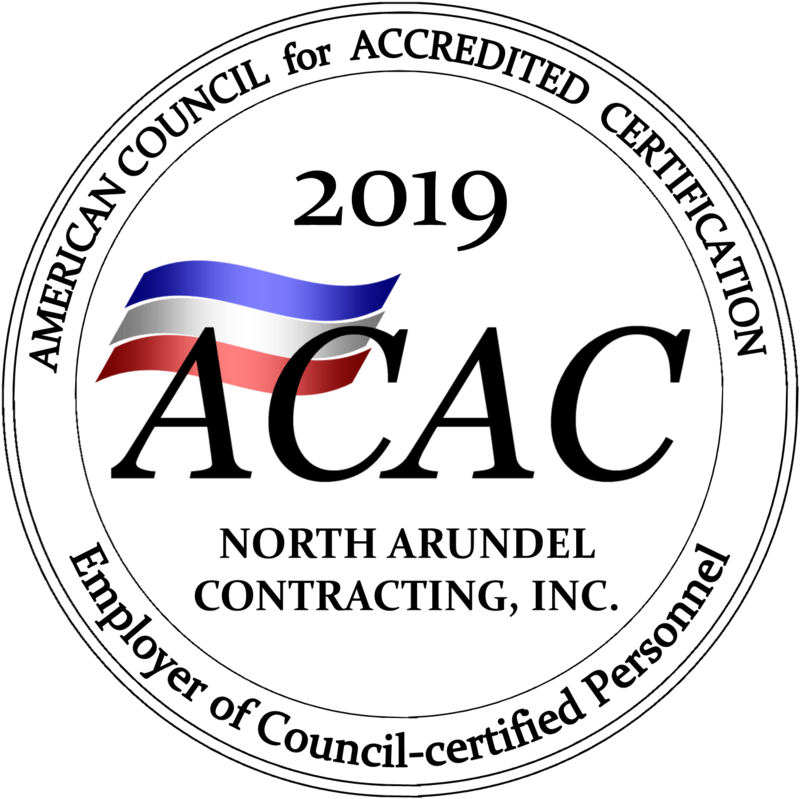 If you have even more questions about mold removal or if you want the professionals to take care of it for you, you can trust North Arundel Contracting. Reach us by telephone at 410-766-2855 or by fax at 410-553-2367 and visit us online. Shoot us an email at nac@nacontracting.com and for after-hours emergencies, page us at 410-541-0328. To find out what we are up to, or for more tips and tricks, follow us on Pinterest, Facebook, Twitter, and LinkedIn. This entry was posted on Thursday, November 29th, 2018 at 1:05 pm. Both comments and pings are currently closed.